To upgrade online and offline business models of Small and Medium Enterprises (SMEs) worldwide and enabling consumers to own and monetise their data. The TOOL Ecosystem solves big data pain points (openness,sharing,circulation,privacy,issues) that businesses & consumers face. We created the TOOL ecosystem based on blockchain technology to build a transparent, secure and distributed big data platform that allows all participating businesses to share users and data in order to better understand, attract and retain users. Businesses can purchase BTs and hand them out as incentives to customers on the ecosystem to gather specific data that they need, or as rewards when customers engage with their advertisements. Already have a fully functioning app or e-commerce? We can do an integration with a simple API call. All transactions on the ecosystem will be converted to appropriate behavioral value tags (e.g. BT). These BTs are recorded on the blockchain and can be accumulated to be exchanged for products, services, or OLO tokens, which can be used to make payments in the ecosystem and/or stored for appreciation. ● Credible, organised and systematic. ● The more active you are, the more BTs you gain. The more BTs you gain, the more OLOs you mine. As a business on our ecosystem, you'll get to benefit from these 4 services that'll be provided. Instant messaging service that supports various formats - from voice recording to images and video. Transact and view your past records on our system. Missed out a transaction? 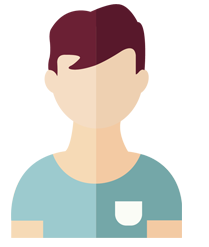 Match and reconcile millions of transactions in minutes with our transactional matching service. Crowdfunding, trading, equity are just some financial services we provide. We can also provide your projects with technology cooperation matching services, and risk control financing matching services. 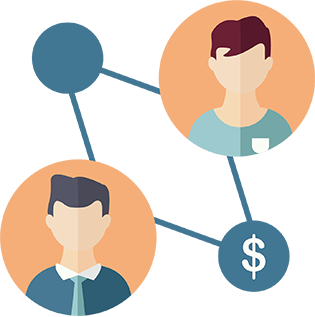 We can provide payment, clearing, and conversion services for all platform participants. Cooperation between our business partners, promotional marketing, and big data resource exchanges. Recording of user behavior on partnering business platforms would also have begun. Completion of development and construction process of TOOL’s blockchain technology and the foundation platform. Internal testing and optimization of TOOL platform with selected merchant partners in Asia-Pacific region in order to fine tune and optimize the processes and achieve high throughput TPS. Crowdfunding rounds to raise funds for the expansion of TOOL ecosystem and community worldwide. Opening of operational branches in 5 major markets (including Southeast Asia), and setting up of a multilingual social community platform. Growth of OLO market value by expansion of the ecosystem to 80% of countries worldwide and increase in number of use cases of OLO within the ecosystem. Test launch of artificial intelligence systems on the platform. Continuous development and upgrading of TOOL platform. Ben graduated with computer science degree from the National University of Singapore (NUS). He was an early pioneer of Java and Linux technology in Singapore when working for the National Computer Board and Elixir Technology. He led major groundbreaking technical development projects for organizations like MAS, Citibank, GIC, MOE. During the dot com era, he led a startup team to create AsiaPaperMarkets.com, a mega B2B platform for the paper industry. He also served in HP as the business development manager for South East Asia. He has very deep experience working in Asia, especially the China market. In 2016, Ben started his research into blockchain technology. In 2017 he established IBD Technology in Singapore. His goal is to build a global data sharing and application platform, to allow users to really own their data. 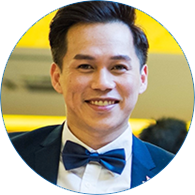 Alson is a digital strategist with more than 6 years of experience in marketing, equipped with the ability to strategize innovative solutions to meet company goals. Knowledgeable with the various social media platforms like Facebook, Instagram, YouTube, Twitter, Weibo, Wechat and other emerging social media technologies, he is proficient in developing and launching campaigns, aimed at engaging targeted audience in meaningful ways. Brands he managed and worked with includes Samsung, OPPO, SK-II, Shisedo, just to name a few. With his love for technology and challenges, he joined Huobi Global last year and is one of the pioneer members to help build and set up the team in the Singapore Office. During his stint in the company, he helped to increase the community followers which includes Facebook, Instagram, Telegram etc by a notable 5000%. He also managed to garner a number of PR features from Industry media, like Coindesk, CoinTraffic, CoinTelegraph, to help increase brand awareness internationally. His efforts for Huobi also encompasses of representing the company to participate in major blockchain events, e.g. The Summit Forum of Blockchain in Southeast Asia and assist in establishing relationships and building rapport with the respective KOLs in the different regions. Ian Chan was a tech solution leader who design, create, strategize and produce many products, applications, software and business solutions. As a consultant, he has worked with many thought leaders to bring their ideas and platforms to life. His solution extends to many sectors and topics including: Financial, Manufacturing, Logistics, Commerce, Retail, Hospitality, Telecom, Banking, Public Sector, Identity & Security, Data Warehouse and Analytics. 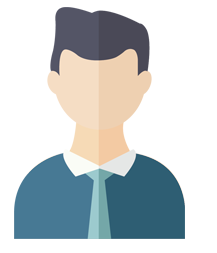 With 28 years' experience in getting Technology and Operation to work harmoniously, he has an extensive career in providing technology solution. He last served as the Business Development Director for a Myanmar tech distribution giant. Today, Ian is a Blockchain and CryptoMining enthusiast; and a keen advocator on this technology. He has shared many knowledge and idea on Blockchain and CryptoMining in meetings, seminars and forums. He was also interviewed by Channel News Asia & BBC Radio on the same topics. Ian had studied at the Victoria University in Australia and earned a Master degree in Professional Accounting. Andras is a technology and blockchain expert. 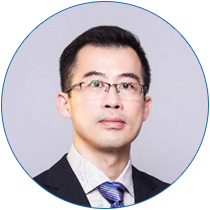 With over 20 years’ experience in IT, building scalable systems, he has collaborated with the biggest players of the digital currency world such as Bitcoin, Ethereum, Ripple on the blockchain implementation, and co-authored with Professor David Lee Kuo Chuen in writing the Handbook of Digital Currency. Andras has entrepreneurial and technical background in a number of projects, such as: Viki.com (worth $230M), Yahoo Southeast Asia, Tembusu, Smartgrow and Yojee. Andras is CTO of a Singaporean startup named Yojee, which caters distributed logistics services for collaborative economies. 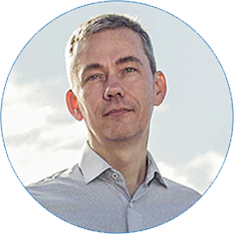 The level of expertise that Andras has acquired throughout his career as IT professional, entrepreneur and founder of numerous companies makes him a very knowledgeable specialist in the sphere of distributed technologies and cryptocurrencies. 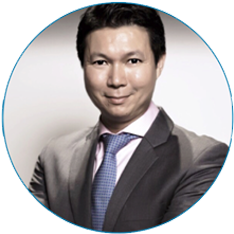 Dr. James Pang is currently an Associate Professor at the NUS Business School at National University of Singapore. He is also the Co-Director of NUS Business Analytics Center. His research focuses on Big Data Analytics, BlockChain, Business Analytics (BA) architecture, modelling methodology and algorithm development. 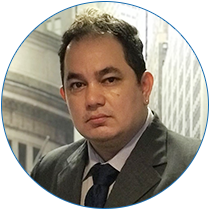 He has rich multi-industry experience in Healthcare, Manufacturing, Supply Chain/Logistics, Retail, and Government sectors, and has been working in analytics and optimization areas in the last 15 years. Prior to the current role, he was the Client Technical Advisor (Chief Architect) in Analytics and Optimization at IBM, and led the IBM technical solution design in ASEAN Public Sector. Previously, he was also a Senior Manager and Lead Architect at IBM R&D Labs in charge of analytics and optimization product development. Before joining IBM, Dr. Pang was a Research Scientist at Motorola Labs and focused on development and implementation of Operations Research models and methods to solve problems in supply chains and manufacturing systems. 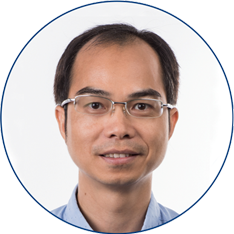 Dr. Pang is the recipient of a number of prestigious industry and academic awards, including IBM Outstanding Technical Achievement Award (OTAA), IBM Invention Plateau Award, finalist of the Andrew Fraser Prize 2007 (best PhD Thesis) of IMechE (Institute of Mechanical Engineers), etc. 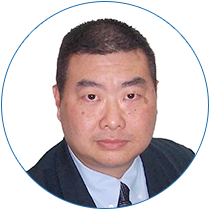 Dr. Pang is also sitting on several industry advisory board, including IBM BAO (business analytics and optimization) architecture board, IBM SDE (software defined environment) architecture board, IBM AP Invention Disclosure Review Board, China 12th five-year development advisory board (IT chapter), Singapore BlockChain Foundation, etc. Dr. Pang filed and published a number of patents and papers in analytics, optimization, supply chain management, healthcare analytics and cloud computing areas. Dr. Pang holds a Ph.D. from National University of Singapore (NUS) jointly with Massachusetts Institute of Technology (MIT), and Master and Bachelor from Zhejiang University (ZJU), China. 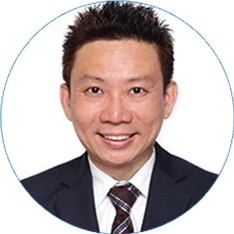 Adrain Lim Teck Yong is an experienced Business Development Manager with a 25 years history in the Financial Services and Banking industry. He is a Chartered Financial Consultant ChFC and Certified Financial Planner CFP focused in Estate, Financial Planning and Services. He is a sort-after adviser to businesses and is skilled in Business Coaching, Team Building, Sales Management, Leadership and Business Development. As a natural ideator, Teck Yong brings outside-the-box imagination and thinking to the business process. He aptly challenges the status quo and brings creative solutions to complex challenging business problems. Teck Yong is also a blockchain evangelist and crypto enthusiast. 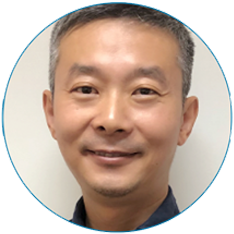 He is involved in various projects as an advisor and contributor to BlockchainCitySG community management. George graduated from Manchester School of Business with an MBA. After years of successes in corporate management roles and creating startups, he came to Singapore to kick start Fundnice P2P micro-loan company. He now heads the non-profit blockchain technology foundation BCF, which aims to be your “closest crypto-blockchain circle”. IBD Technology is legally responsible for the development, promotion, and operation of TOOL and its applications, and bears all relevant responsibilities deriving therefrom. 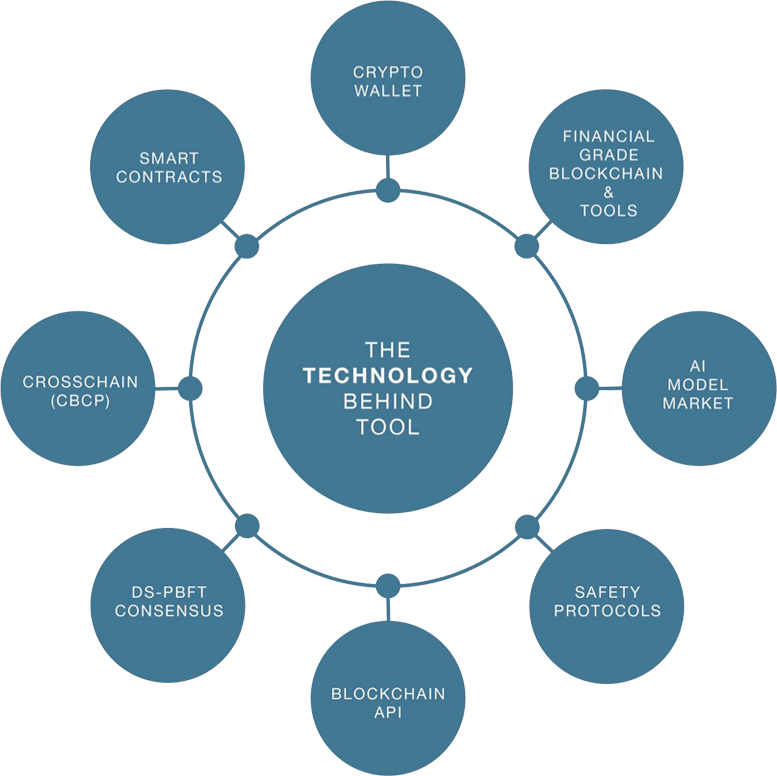 The main purpose of the TOOL open community is to attract and serve technology developers and institutions, and to constantly optimize and upgrade the TOOL ecosystem, including its development tools and applications. WOLOT Foundation is established by IBD Technology to develop, maintain and promote the TOOL open community.